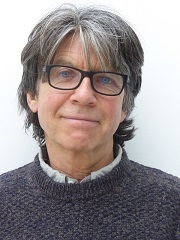 Anthony Browne (pictured), former Waterstones Children’s Laureate and winner of the Hans Christian Andersen Award, is a judge for the 2019 Klaus Flugge Prize. His fellow judges are 2018 Klaus Flugge Prize winner Kate Milner; Derek Brazell, of the Association of Illustrators; Seven Stories bookseller Billiejo Carlisle; and Farrah Serroukh, learning programme leader at CLPE (Centre for Literary in Primary Education). Now in its fourth year, the Klaus Flugge Prize is awarded to the most promising and exciting newcomer to children’s picture book illustration. Julia Eccleshare, who chairs the judging panel for the Klaus Flugge Prize said: "The Klaus Flugge Prize provides a special opportunity to celebrate the best in contemporary picture book illustration and we are delighted to welcome our new judges, who bring with them an extraordinarily broad range of experience, understanding and insight." The winner of the Klaus Flugge Prize receives £5,000. 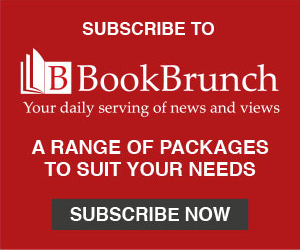 Publishers have until midnight Friday 28 December to make their submissions for the 2019 award. The Klaus Flugge Prize was launched in 2016. Nicholas John Frith won the inaugural prize with Hector and Hummingbird, published by Alison Green Books; the 2017 prize was awarded to Francesca Sanna for The Journey, published by Flying Eye Books; Kate Milner won the 2018 prize with My Name is Not Refugee, published by Barrington Stoke. The Klaus Flugge Prize is funded by Klaus Flugge and run independently of Andersen Press. It is administered by Julia Eccleshare, children’s director of the Hay Festival and head of Public Lending Right policy and advocacy; and by Andrea Reece director of the children’s programme at the FT Weekend Oxford Literary Festival and managing editor of Books for Keeps.